The theme for this week was From the Garden. I took a bunch of different photos of various things and plants in the garden but none of them really popped out at me. So then I screwed my infrared lens on and began shooting again. As I've mentioned in a previous post shooting in IR has it's drawbacks since I'm using a non-converted camera, but on a calm bright day it can work pretty well. 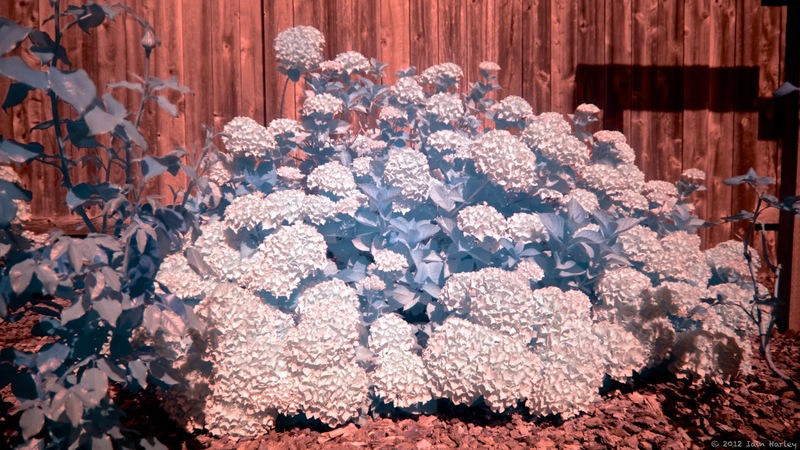 Here is a hydrangea plant, normally green with blue flowers, rendered in IR. 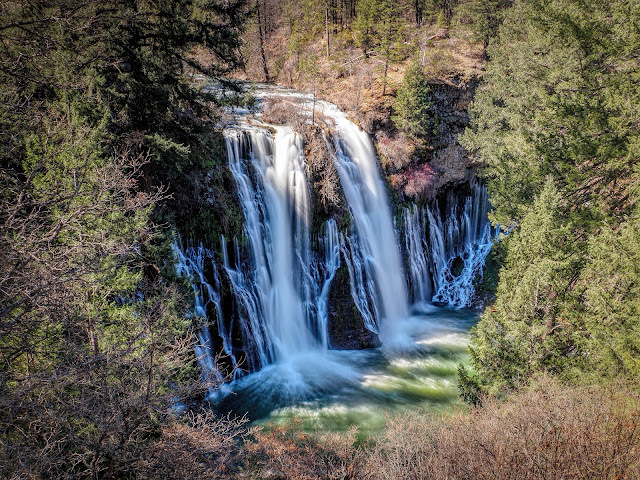 I'm still trying to find a way to cut down on the redness of the photo that isn't effected so much by the IR.